China’s Taiwan policy has faced a strategic dilemma in the recent decades. On the one hand, Beijing cannot allow Taiwan to declare independence because this would threaten not only national security interest of China but also nationalist credential of the communist regime. To deter Taiwan drifting toward independence, Beijing has never given up its threat of using military force to achieve national reunification. On the other hand, since China started reform and opened up in the late 1970s, pragmatic Chinese leaders have set peace and development as China’s overriding goals. For this purpose, they have attempted to prevent military conflict across the Taiwan Strait because they would not want to sacrifice China’s modernization efforts as long as Taiwan does not constitutionally declare independence. 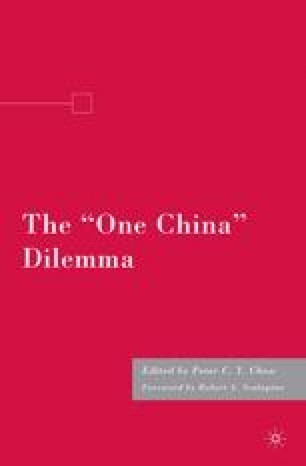 To find a solution to this dilemma, China has developed a liangshou celue (literally “two hands”) strategy. It is a two-pronged stick and carrot approach, involving an oscillating pattern of military coercion and peaceful offence. Coercive strategy relies primarily upon the use or the threat of force. It could be military actions aiming at the conquest of Taiwan or brinkmanship using military force in an exemplary and demonstrative manner. Peaceful offense appeals to cross-Strait political negotiations, and economic, and cultural exchanges to bind Taiwan’s hands of seeking independence and to build goodwill and momentum for eventual national reunification.